Buy or rent a home in Dubai? Residential rents in Dubai are now more than 15 to 20 per cent lower than peak levels in 2015 while sales prices are also fall in affordable category with increasing supply of residential units, says a latest report. With the onset of an early Ramadan followed by summer, consultancy Core Savills said in 2018 first quarter report that rental softening in Dubai is expected to continue for the remainder of 2018. Sales prices also continued to decline across most communities, with central areas seeing larger declines than outer areas. Downtown Dubai and Dubai Marina saw the sharpest declines at 7.5 per cent and 6.6 per cent, respectively, resulting from the large number of new launches within this area, estimated Core Savills. However, rents are expected to see an uptick in 2019 and 2020. Market observers, therefore, believe now is an ideal time to buy property in Dubai before the US Federal Reserve increases interest rates, forcing mortgage buyers in the UAE to shell out more in repayments for their home. While the 25 per cent down payment can be a challenge for some, this threshold is now within reach given the lower property values. The softened sales market has made the cost of property ownership lower than the cost of renting for long-term occupiers, making it attractive for tenants to move to ownership. This shift to ownership is also shrinking the rental pool, leading to further downward pressure on rents. According to data from Reidin, the average sales price of a 1-bedroom apartment in Dubai is Dh1.03 million and a 2-bedroom unit is Dh1.8 million. The average rent for a 1-bedroom apartment in Dubai is Dh71,000 while average rent for a 2-bedroom unit is Dh114,000. Jumeirah Lakes Towers (JLT) and Emirates Living also saw a decline in sales prices owing to new launches, in addition to witnessing demand shifting to Jumeirah Village as products with similar or lower price points and newer build quality become available. Communities with multiple phased deliveries such as Mira, Mudon and Arabian Ranches have also cast significant downward pressure on The Springs and The Meadows’ sales market. According to Core Savills, Dubailand was the only community to see a visible rise in apartment sales prices at 2.7 per cent. This is due to the fact that most new sales activity is concentrated within this area, with lower entry prices driving sales. “The cascading effect of new stock impacting secondary sales prices, either within the community or in adjoining areas, is one of the strongest reasons causing a delay in sales price recovery. However, this hasn’t significantly dampened occupier sentiment due to the wide variety of options now available at very competitive prices by developers in new launches,” said Edward Macura, partner, Core Savills. Over 6,000 units were delivered in year to date 2018. Core Savills forecasts a further 15,500 units to be handed over during the remainder of the year. Newer villa districts such as Dubailand and Jumeirah Village have seen a more direct impact of the supply surge. 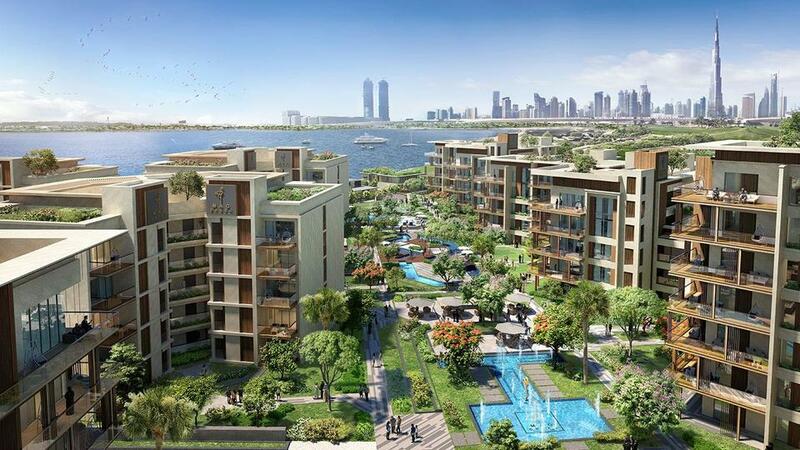 Over the rest of the year, Dubailand will represent almost a third of total handovers. Meanwhile, developers are exhorting end-users and investors to identify pockets of opportunities in a difficult market. “The Dubai property market cycle has weakened. The longer we go through a weak cycle, the closer we are to a recovery. If high oil prices persist, it will have an impact on property prices. As Expo 2020 gets closer, there will be a sense of urgency to participate in the property market. So long there is sufficient return to risk capital, there will be capital deployed to exploit the opportunity,” Adil Taqi, CFO, Damac Properties, told Bloomberg TV. After being resilient over the last 2 years, the rental market in core apartment and villa districts such as JLT, The Springs and The Meadows are starting to see rental drops of 9 per cent and 5 per cent, respectively, estimated Core Savills. Bigger units have seen significantly higher rent drops compared to studio and 1-beds as higher income occupiers are becoming increasingly cost-conscious or moving up the housing ladder to ownership. “Within a given district, bigger units have seen higher drops than smaller units, enabling tenants to upgrade without significantly impacting their rental outflows. On the other hand, tenants who have seen contractions in housing allowances are saving considerably by downsizing either within the same district or moving to outer areas, if they are unable or unwilling to renegotiate with their current landlords,” added Macura.